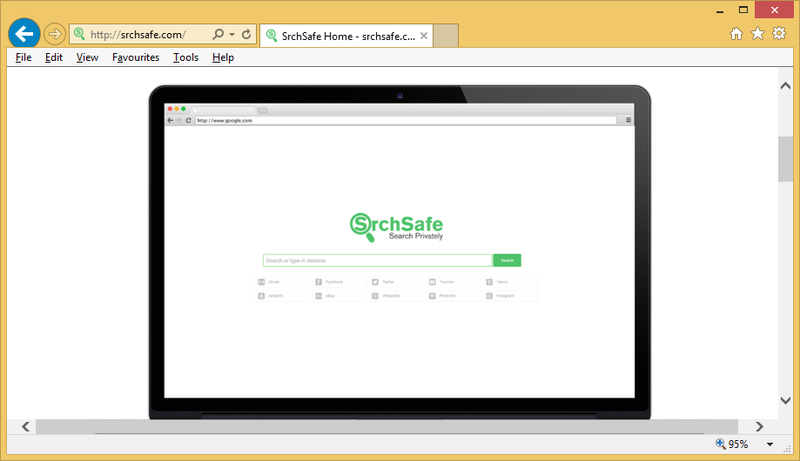 SrchSafe Search or SrchSafe.com is promoted as a search tool that can allow you to search the Web privately. Although it may seem like this is the only purpose of the application, that is not the case. It falls into the browser hijacker category and has adware capabilities. This means that it will flood you with advertising data whenever possible. The hijacker spreads on the Internet along with other unwanted applications with the help of third party software bundles. Once installed, it alters your settings, causes redirects, tracks your cookies, and more. If you wish to stop its unnecessary and useless activities, you will have to terminate SrchSafe Search. How does SrchSafe Search work? As it has been mentioned above, the hijacker uses the bundling distribution method, which allows it to get access to computers without the users’ notice. What is important to know in this case is that you can avoid installing potentially unwanted programs like this one. All you need to do is install freeware in the Advanced mode and decline all additional offers that come with it. Once the hijacker gets access to the system, it starts by altering your browser settings. Your home page and default search engine get switched to a new domain that you most likely never encountered before – SrchSafe.com (or Query.srchsafe.com). The page will present you with a search box and several links to popular domains like Facebook, Twitter, YouTube, etc. If you search the Web with the help of this search tool, you will get results containing sponsored links. Moreover, you will be exposed to advertisements at all times when online. Some of these adverts could be completely unreliable and they may lead you to corrupted websites. It would be best to avoid all advertising data no matter where you see it or how it looks until you eliminate SrchSafe Search from your browsers completely. How to remove SrchSafe Search? If you decide to delete SrchSafe Search, you will have to choose one of the two following options: manual or automatic removal method. Manual SrchSafe Search removal requires you to uninstall the hijacker’s related app first. It can be done with the help of the removal guide we have prepared below the article. The guide also explains how you can restore your browser preferences and thus erase SrchSafe Search for good. The alternative and much more reliable option is to use a malware prevention and removal tool to terminate SrchSafe Search automatically. The anti-malware utility, which you can acquire on our page, will perform a full system scan detecting all possible issues. It will then clean your PC from all threats that it finds including the hijacker and its related application. Furthermore, the security software comes with additional benefits as it functions as a preventative measure ensuring your computer’s safety while you surf the Web.